Steve Byrne GSPCA Manager said "Can you make/bake & sell cupcakes to raise money for the GSPCA?" "By getting involved you will be helping many injured and abandoned animals like Bonnie the seal pup and Olivia the turtle, Betty the english bull dog and Monkey the diabetic cat, not to mention the many hedgehogs and baby birds." First day of the GSPCA Cupcake Week - are you making, baking and selling cake for animals in Guernsey? Today is the first day of the GSPCA Annual Cupcake Wek. Each year we sell a selection of Cupcakes at the GSPCA as well as ask those around Guernsey to make, bake and sell cake at schools, work places, your local group or to friends. 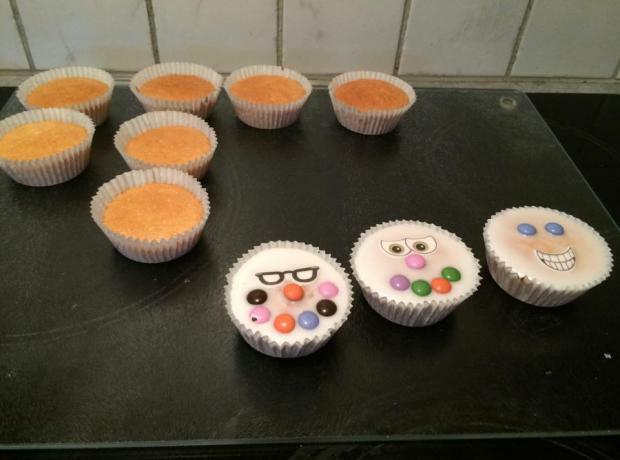 Can you make/bake & sell cupcakes to raise money for the GSPCA? By doing so you would be helping many injured and abandoned animals.